Could a tiny protein make the deadly Ebola virus more contagious? The answer appears to be yes. And in a recent study, Johns Hopkins Engineering materials scientists joined researchers from two other institutions in identifying a small protein, called the delta peptide, as a likely suspect. Ebola’s ability to spread quickly from infected patients to family members and health care workers contributed to the more than 28,000 cases and 11,000 deaths during the 2013–15 outbreak in West Africa. The researchers were aware that Ebola, like all viruses, hijacks biochemical machinery inside healthy cells and forces it to produce copies of the virus. They knew Ebola also causes this machinery to produce many delta peptides—bits of protein whose purpose was uncertain. “Ebola causes infected cells to make the delta peptides. However, delta peptides do not become part of the new viruses. Therefore, they must be helpful to the virus in some other way,” says Kalina Hristova, a professor of materials science and engineering and a co-author of the study that appeared last May in The Journal of Virology. The researchers suspected that the delta peptides could weaken the protective membranes that surround cells in a patient’s gastrointestinal tract: Delta peptides might cause tiny holes to form in the membranes, allowing unwanted molecules to enter and wreak havoc. This could trigger severe gastrointestinal illness, commonly seen in Ebola patients. The accompanying loss of blood and digestive fluids exposes the patient’s family, caregivers, and health workers to Ebola infection. Tulane University School of Medicine researchers, who led the project, turned to Johns Hopkins biomaterials experts skilled in high-tech testing that tracks the impact protein particles have on materials that mimic cell membranes. Gregory Wiedman, PhD ’15, gathered electrical data indicating that Ebola’s delta peptides interact with lipids in a cell membrane. 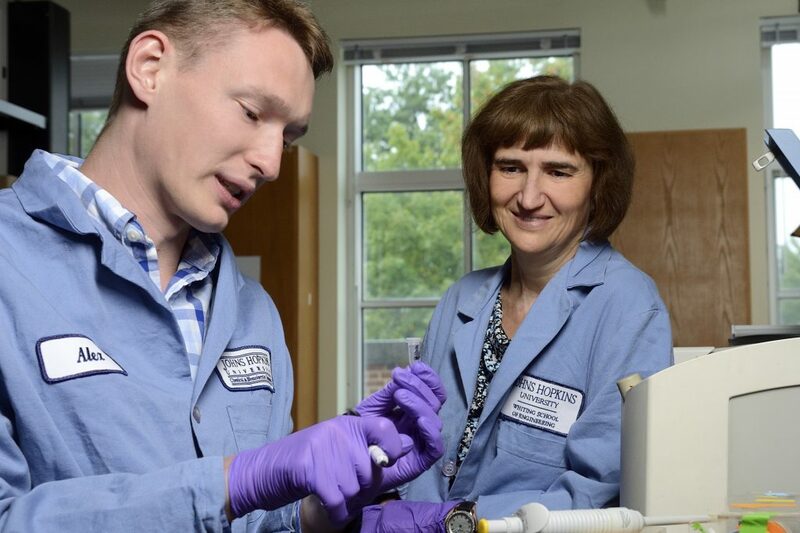 Then, Alexander Komin, a Whiting School graduate student, confirmed that the delta peptide causes holes to form in a mammalian cell’s protective membrane. “Maybe we can now produce antibodies that can neutralize those peptides and keep them from damaging cells in the Ebola patient’s gastrointestinal tract, which is one way the disease spreads,” says Hristova. 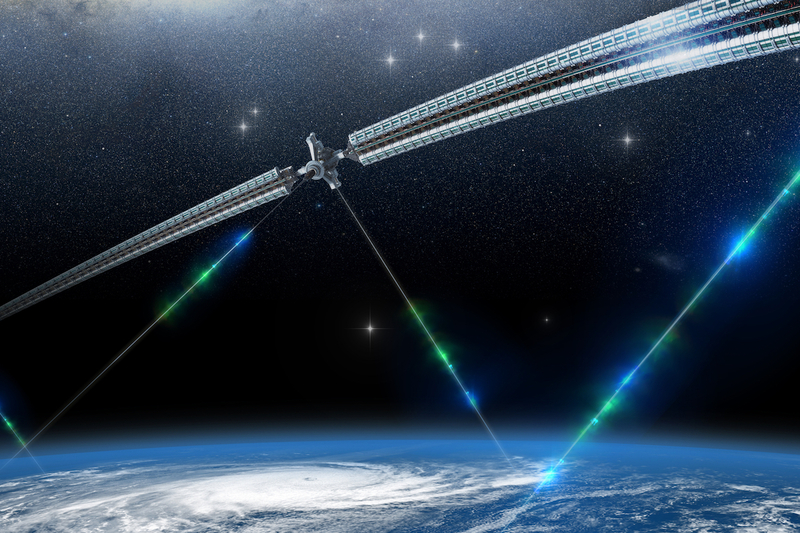 For nearly 150 years, researchers have contemplated the idea of a space elevator—an alternate way to shuttle people and goods to space that wouldn’t involve a shuttle at all. 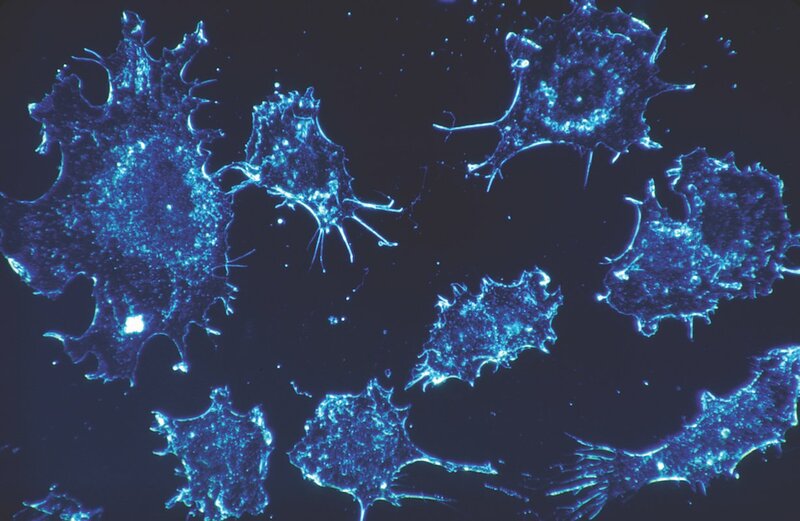 Denis Wirtz, vice provost for research, says unifying the field of cell mechanics around a common set of approaches will make it more valuable to the larger cancer research community. 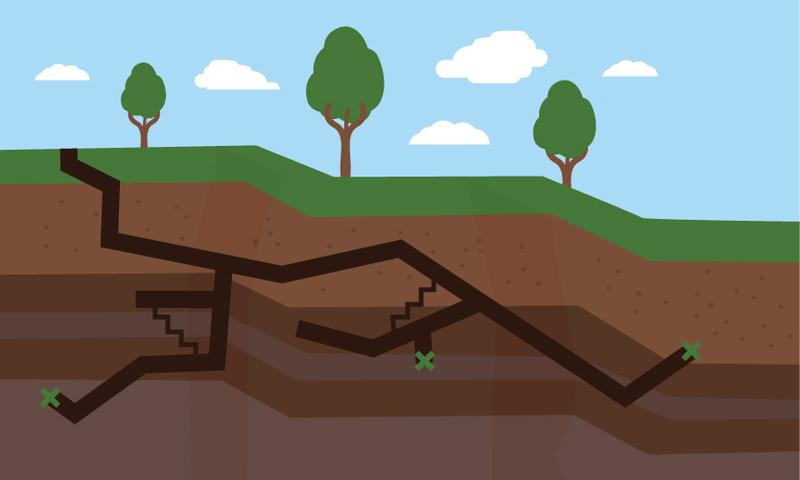 A robot travels through a tunnel buried deep underground. Using its camera, it searches every nook and cranny in the dark passageway for potential hazards, mapping its path as it goes. It relays this information to its operators in real time. “Nothing like this really exists in current fielded systems for military, law enforcement, or the harsh environments of space,” says Hopkins engineer William Bagley.